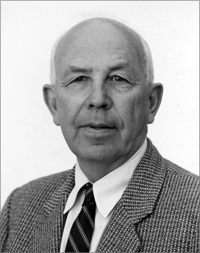 Paul H. Kirkpatrick was Emeritus Professor of Physics at Stanford University (1931-1992). Other institutional affiliations included the University of Hawaii and Hangchow College, China. His research interests included x-rays and physics education. July 21, 1894Birth, Wessington (S.D.). 1916Obtained BS, Occidental College, Los Angeles (Calif.). 1916 – 1918Instructor of Physics and English, Hangchow College, China. 1923Obtained PhD in Physics, University of California, Berkeley, Berkeley (Calif.). 1923 – 1925Instructor, summer sessions, University of California, Los Angeles. 1923 – 1931Professor of Physics, University of Hawaii, Honolulu (Hawaii). 1931 – 1992Acting Associate Professor (1931-1932); Associate Professor (1932-1937); Professor (1937-1959); Chair, Department of Physics (1941-1948); and Emeritus Professor (1959-1992), Stanford University, Palo Alto (Calif.). 1956 – 1958Visiting Professor, University of the Philippines. 1960 – 1961Consultant, Missiles and Space Division, Lockheed Aircraft Corporation. 1960 – 1961Visiting Professor, Wesleyan University. December 26, 1992Death, Palo Alto (Calif.). Particle physicist and physics educator. Consultant, Missiles and Space Division. Acting Associate Professor; Associate Professor; Professor; Chair, Department of Physics; and Emeritus Professor. Instructor of Physics and English. Obtained PhD in Physics (1923). Paul H. Kirkpatrick autobiography, 1971. Paul H. Kirkpatrick letters, 1959-1961. Some personal actions and reactions, 1971. Stanford University Department of Physics records, 1937-1949. William W. Hansen papers, 1925-1974. College physics / by Frederick A. Saunders and Paul Kirkpatrick. Paul Kirkpatrick Physics Today obituary. Paul Kirkpatrick Stanford University obituary.